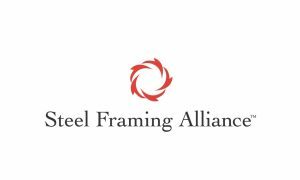 Compiled by the Steel Framing Alliance and Canadian Steel Construction Council, this searchable directory provides the user with the ability to search the current, complete range of fire and sound-rated cold-formed steel assemblies as listed by the major recognized testing agencies. The assemblies contained in the data base are limited to those that are relevant to residential and light commercial construction. The purpose of this guide is to summarize fire and sound data for steel floor, wall and roof assemblies that are relevant to residential and light commercial construction.